I brought Apples to Apples back into the game rotation this week. This time we played the game with a bit of a twist. 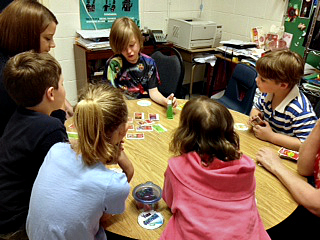 The Lunch Buddies were in charge of the game. Each player was given a job and I must say that they took their job seriously. Judges can be funny but they must be fair. Materials Managers must think with their eyes and make sure that every player has 5 cards at all times. The Encourager says, “well done” or “that was a great choice”. The Voice Controller must decide when the fun gets too loud. The Problem Solver is the “go to” guy or girl if a small problem comes up. 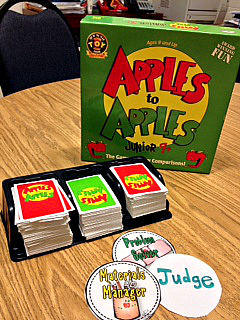 Apples to Apples is one of our fav games. 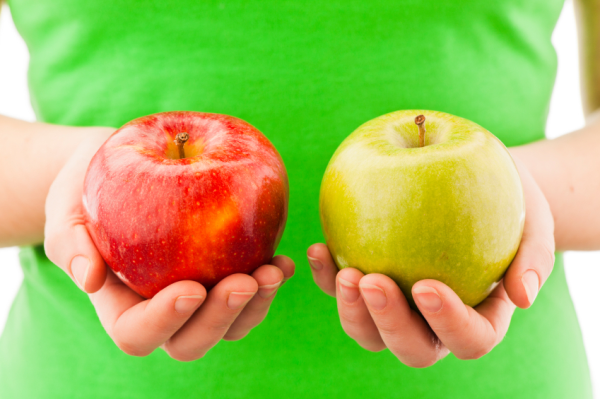 There are so many skills that can be learned from playing Apples to Apples. One must be flexible when choosing a card to play even when it isn’t a very good match. Emotional control is necessary if a player starts to feel frustrated when the judge doesn’t pick his/her card or when he/she doesn’t seem to have a good card to play. Response inhibition is necessary to help keep one’s “cool” when one’s card isn’t chosen. Staying focused on the goal of getting 5 green cards, even when one is in last place, is goal directed persistence. Most importantly, Apples to Apples is fun!! Robin, I lOVE LOVE LOVE this idea!!! I hope you don’t mind but I totally borrowed this idea and made my own badges for this game. I used free clip art and screen shots!! I tried to post of picture but no luck there! 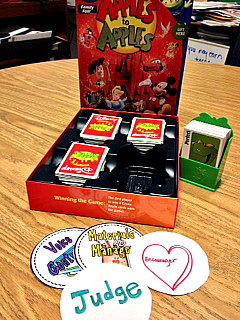 I use this game regularly with my lunch bunch and your idea now gives this game much needed order!!! Thank you a million thank yous for sharing this idea!!! I really love all of your ideas! !